Staying organized has been one of the toughest things of all time. The human mind has this tendency to forget things, and if that forgetting is hitting hard on your productivity, then you must have thought of some solutions to counter it. Using a pen and paper isn’t going to do much in today’s time as people are prone to multitask nowadays and in this generation of tech-savvy people, phones are the only way left to come up with a way to make your life organised. 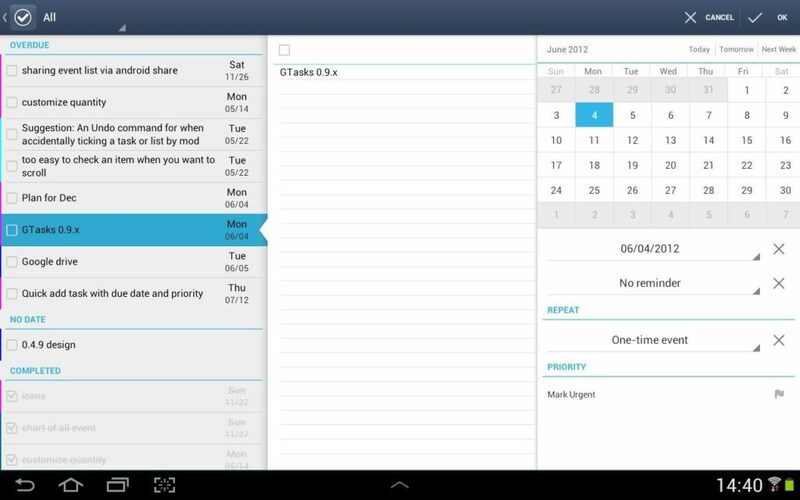 So, here are the 10 Best To-Do List Apps for Android devices. 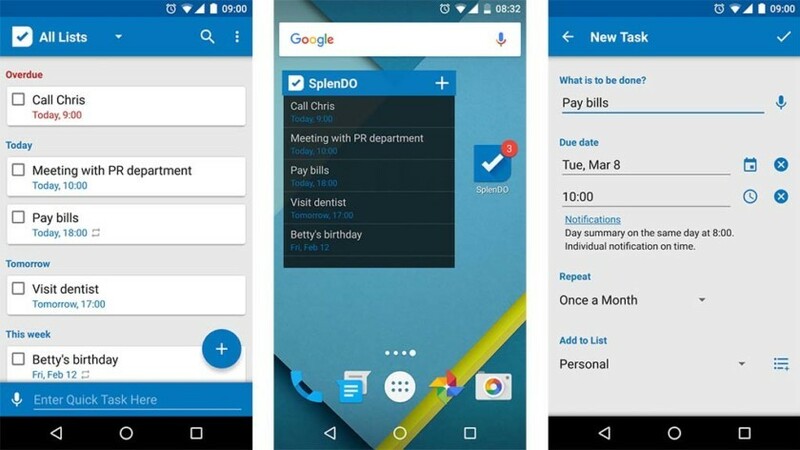 Any.do is amongst one of the most popular to-do app available for the Android platform. The app comes in two versions one is free, and the other one offers you with additional features for $2.09 or $2.24 or $2.29 on a monthly basis. Users are allowed to create tasks and subtasks that can be synced to the cloud and can be accessed on other devices too. The functionality of attaching Cal, the Calendar app makes it more productive for the people that want to kill two birds with a single stone. Google Keep is primarily a note-taking app. The app comes directly from the Google’s Lab so is having a top-notch Android Wear support. Google keeps sports an engine that is capable of displaying notes and to-do lists that pops up based on your location and time. The reminder feature is designed in such a way that it makes use of your GPS location to the best. The ppsspp gold apk is available for free to download. A simple to-do list app that has almost all the bells and whistles intact such as voice task creation, priority modes, unlimited task creation functionality added in a very nice and friendly UI. 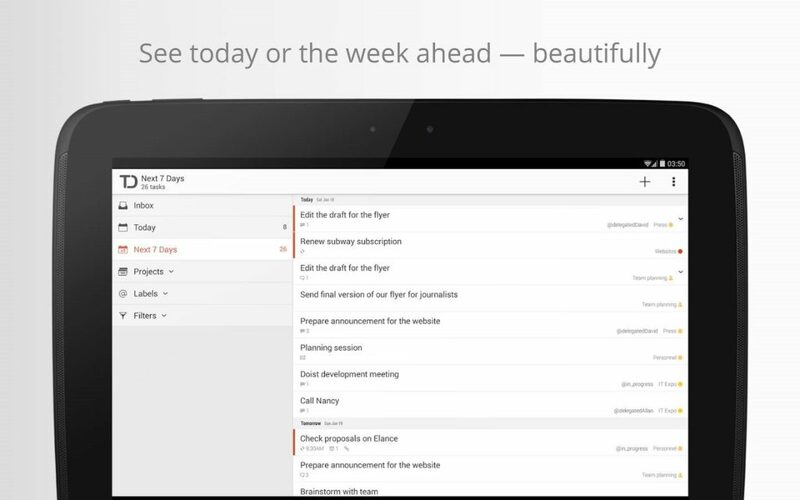 The app syncs with Google Tasks making complete use of the Cloud functionality. The app is available in both paid and free variants. The GTasks to-do list app is one of the most popular and highly rated apps in this category on Google Play Store. 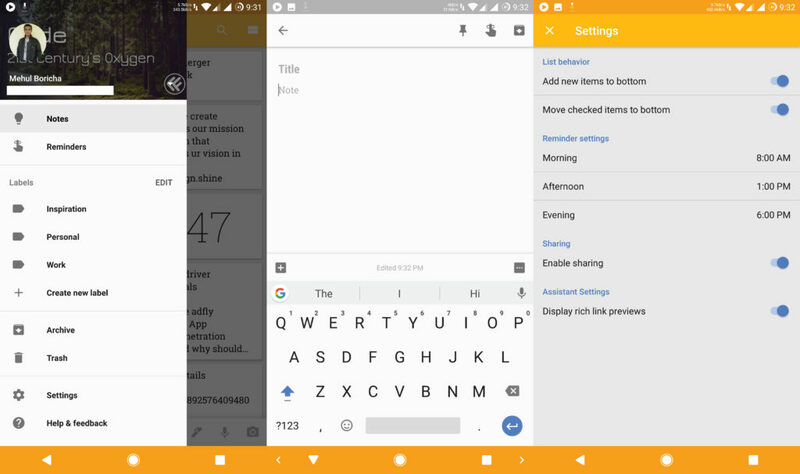 The free version lets you add tasks using voice and even have Google Now functionality so that you can add tasks using it. The tasks get synced with Google Tasks, and the widget feature is nifty. The premium version of the app lets you add tasks in batches and unlocks more themes. Astrid used to be amongst the best task managers that were shut down by Yahoo in the year 2013. 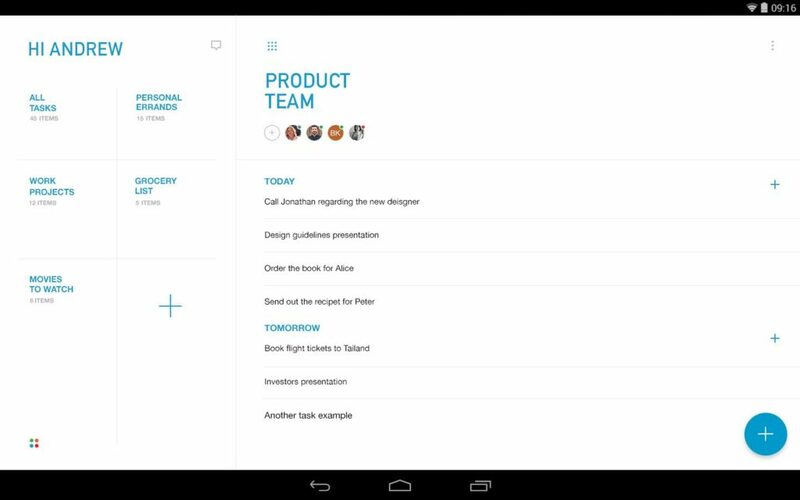 The ‘Tasks’ app acts like a clone of the Astrid to-do list, which is clear with the developer’s vision that can be seen in the name of the app itself. ‘Tasks’ is an open source project that covers all the basics in a simple, easy to read format built on a Material Design theme. The in-app subscription unlocks some more advanced features. 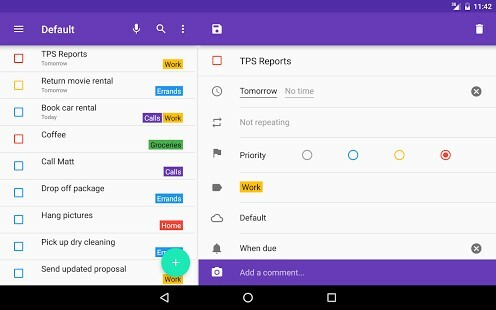 TickTick is yet another simple but powerful to-do list app that is available for free on Google Play Store with an optional subscription that users can opt which will enable improved task management, collaboration support and more. The cloud syncing feature lets you keep track of all the tasks between devices. The built-in tag system lets you sort the tasks, widgets, priority levels based on the importance. TickTick also has location-based reminders. The app is available in two variants, one is the free variant, and another one comes with a price tag of $28.99. 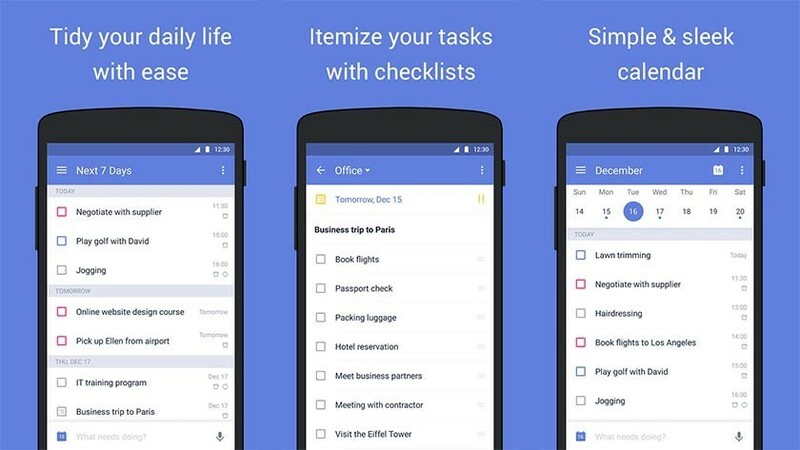 Todolist is a fully functional cross-platform enabled app that gives you to add, modify and remove to-do list tasks. The app sports a unique Karma mode that help you visualize, how productive you’ve been so far. Todolist covers almost all the basic modes including the offline mode, tags, and inboxes so that user can sort their tasks easily. As the name suggests, the app To Do List does what it says. The user interface is almost similar to that of the Wunderlist’s, and that can’t be the worst thing that will stop you from giving it a try. The app has a free version, and you can pay $2.99 for the paid version. Voice commands, widgets, getting reminders and a clean interface, what else do you expect from a good to-do app? Material design, check, cross-platform support, check, attachment options, check, task and subtasks functionality, check. The app is now being owned by Microsoft. Microsoft purchased the project back in the year 2015, and thankfully it has been doing well since then. The full version of the app costs $4.99; you can try the free version before buying. 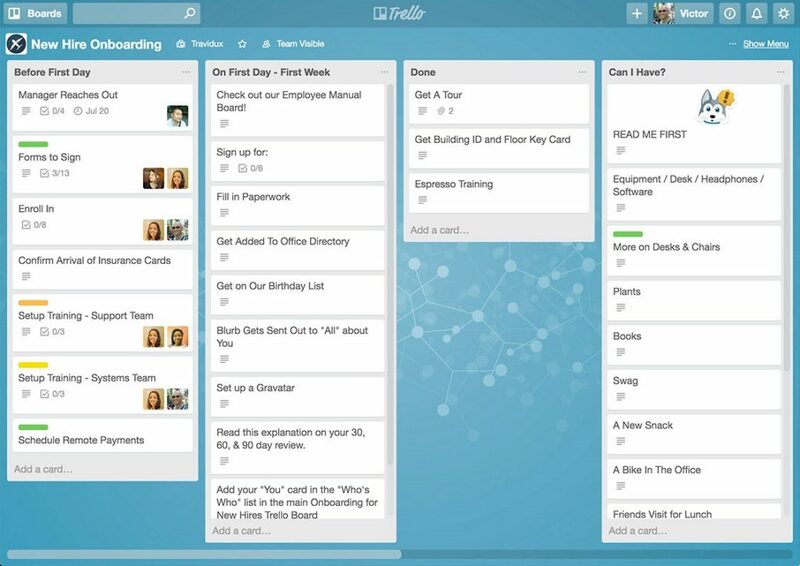 Trello comes with all the basic features of a perfect to-do list app with added functionality for cards. The list can be created on ‘boards’ that have ‘cards’ built-in them. You can add multiple users and can maintain projects using the sharing feature. Cloud services like Dropbox and Google Drive support are available. 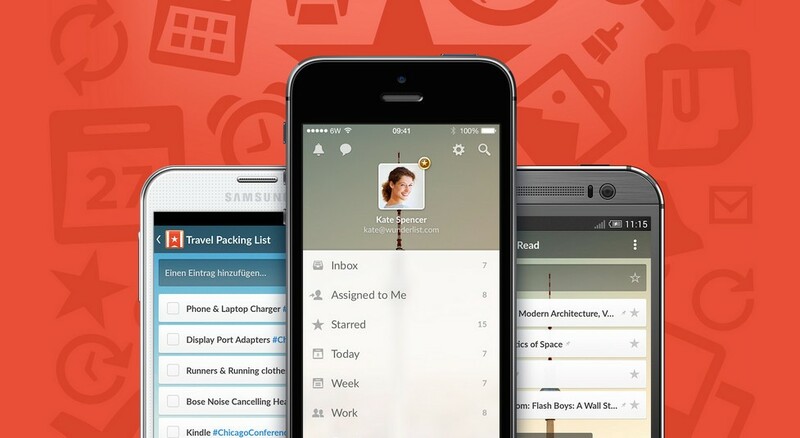 So that was our handpicked list of apps that will help you organize your tasks easier using your Android device. If we have missed something, do let us know. We will be glad to add it to our collection. Also if you have any doubts regarding app or its usage, feel free to comment it down below.